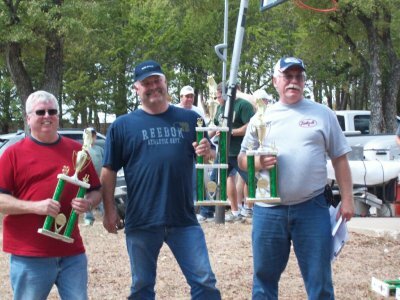 With the cooler temperatures moving in the Lake Texoma, striper fishing is extremely good right now. Seagulls have moved in by the thousands all over the lake and they really help to find the feeding stripers. Right now I’m using threadfin shad and trying to get the larger baits when possible. Some mornings have been fairly easy and others have been really tough. Most of my stripers are coming off the river channel ledges, flats and even the deeper 55ft plus water. Drifting has worked a little better for me for my larger fish using the larger threadfin shad. 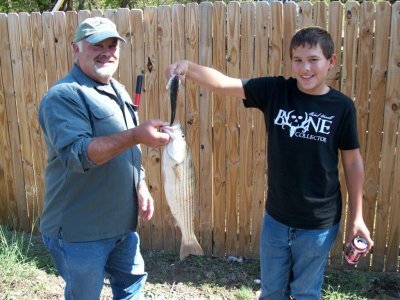 The anchor fishing seems to attract the 10-12″ stripers and if you sit there long enough they will run thru your bait. So as of lately I’m just covering water, looking for a little seagull action and fishing in with the birds. I start a few lure trips the end of the week and I’ll make sure to keep you informed. This year our Texoma stripers are about as healthy as I’ve seen them. Normally coming out of the extremely hot summer months they tend to get long and skinny,but not this year. 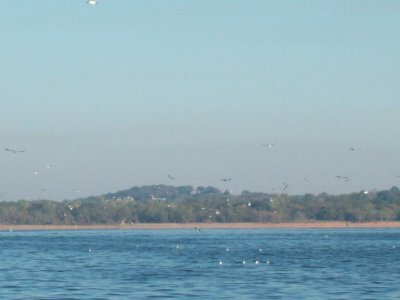 With the fall weather here this is a great time to be out on Beautiful Lake Texoma. 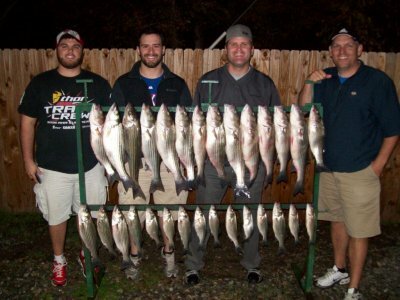 We are starting to see some fall color on the trees, wildlife and are catching alot of Lake Texoma stripers. It doesn’t get any better than this so come on out and enjoy a beautiful fall day on Lake Texoma.